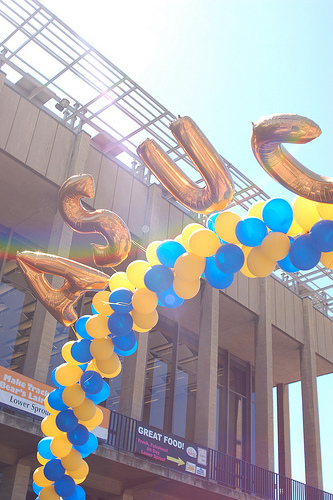 Furthermore, June 29 saw the abrupt retirement of ASUC Auxiliary Director Nadesan Permaul, who has served the campus for 33 years and whose unexpected departure, coupled with the controversial realignment, strikes us as shady in the extreme. That Permaul won’t be around to oversee the transition has led many to wonder if his retirement (or at least the timing thereof) was not entirely voluntary. [T]his transition not only is a clear breach of our trust and faith in our university’s administration, but also has forced us to reconsider whether this university shares or even cares for the core mission of the ASUC to serve the students as an autonomous student government. This clash comes at a time when a united campus message is needed more than ever due to dwindling state support for higher education. The relationship between the administration and the ASUC is obviously tarnished and the onus is on the administration to make amends; no one benefits if these two groups are at odds. So what can you do? Educate yourself. Read that editorial. Write emails and letters to campus officials. Talk to your student leaders. Make your voices heard. Don’t let this issue get swept under the rug. It’s your university, folks. We urge you not to forget.